From inputs to outputs, this is one powerful battle scratch mixer. The crossfader is a deluxe Penny & Giles VCA reversible design. The faders have contour controls, and they can all be easily replaced by removing the steel faceplate. The fader area is kept clear for action, and controls like pan and EQ are out of the way on low-profile sliders. Even the transform switches can be rotated to work the way you like them. Channels have RIAA [RCA] inputs, switchable to line, plus stereo line level inputs [RCA], each with gain control. Powerful 3-band EQ on sliders. High-quality 45mm faders. Input reverse switch for battle mixing. Pre-fade monitoring on 12-segment 3-color peak reading bar meters. 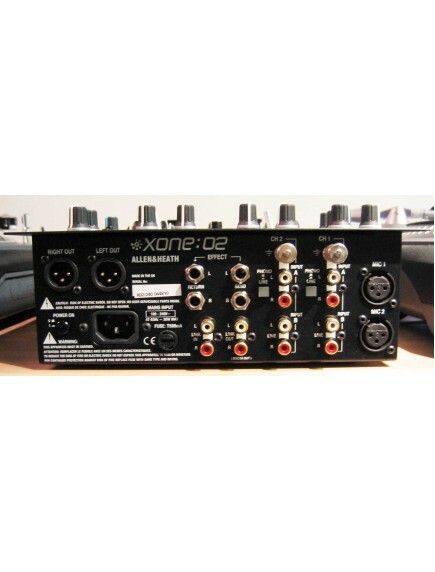 2 XLR inputs with separate gain controls, on switch, and 3-band EQ with HPF. Routes direct to mix outputs. FX insert on button. 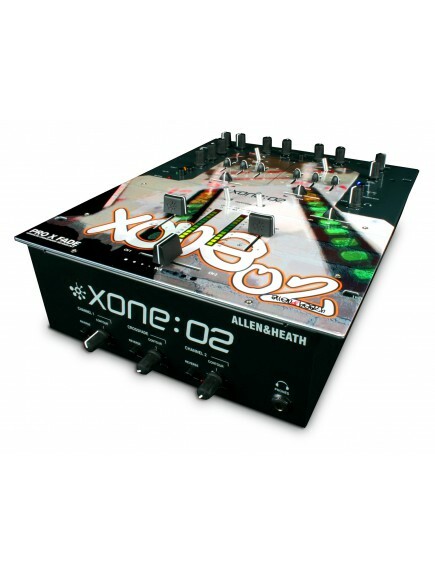 Balanced mix outputs on XLR with multipoint VCA level master control. The mix output level can be displayed on the 12-segment 3-color peak reading bar meters. Powerful 3-band 12dB/octave EQ with asymmetric characteristic: +6dB boost emphasis and -26dB cut for frequency band elimination. 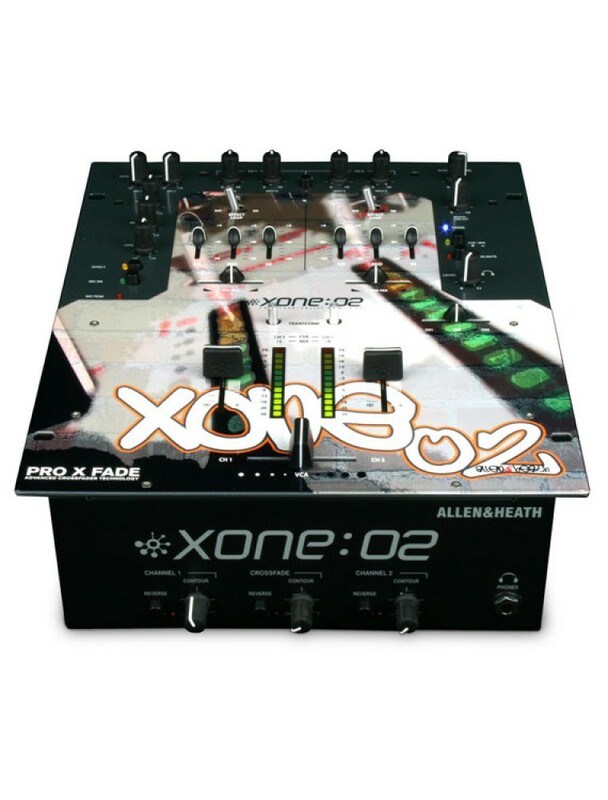 An ultrahigh quality Penny & Giles conductive plastic crossfader comes fitted as standard on the Xone:02. Replacement of crossfaders is easy - it takes only minutes to remove the faceplate and replace the fader unit. Performance channel mute controls which can be rotated to work up/down or left/right. High-powered headphone output with level and mute switch. Booth/link output on TRS with level. 12-segment, 3-color bar metering displays CH1&2 or mix. Channels have 12-segment, 3-color bar meters. CH1/CH2 cue fader allows preview of x-fades.